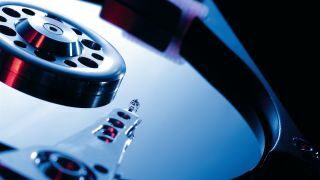 Seagate has launched a 6TB hard disk drive, which it claims is the fastest of its kind in the world. The Enterprise Capacity 3.5 HDD v4 boasts speeds that are 25% faster than other 6TB models on the market, according to Seagate (there's only another one there to our knowledge). It employs a 12Gb/s SAS interface, but is also available in a SATA 6Gb/s version. We exclusively revealed the existence of Seagate's 6TB hard disk drive range ahead of launch last week. The 3.5-inch drive features 7200 RPM performance and multi-drive rotational vibration tolerance, making it ideal for RAID environments. It also features error correction technology, a humidity sensor and power saving options, and is T10 and T13-compliant. For the security-conscious, the drive is self-encrypting and comes with an Instant Secure Erase function. Seagate's premium storage firm LaCie has also unveiled three new Thunderbolt 2 storage solutions designed to cater for the 4K video market. The solutions, announced at the 2014 NAB Show, make use of the new 6TB hard drives to deliver rack and RAID setups with as much as 48TB of storage. The new drives are available immediately. The LaCie rigs launch later this quarter.